If you live in the Stalling NC area and you’re looking for a garage door company to work on your home or business, you’ve come to the right place! A Plus Garage Doors has over thirty years of experience working with all sorts of garage doors, from the smallest residential repair job to a full commercial installation. If you need emergency service, A Plus Garage Doors will be there with a smile and dependable service right when you need it, not a week later. 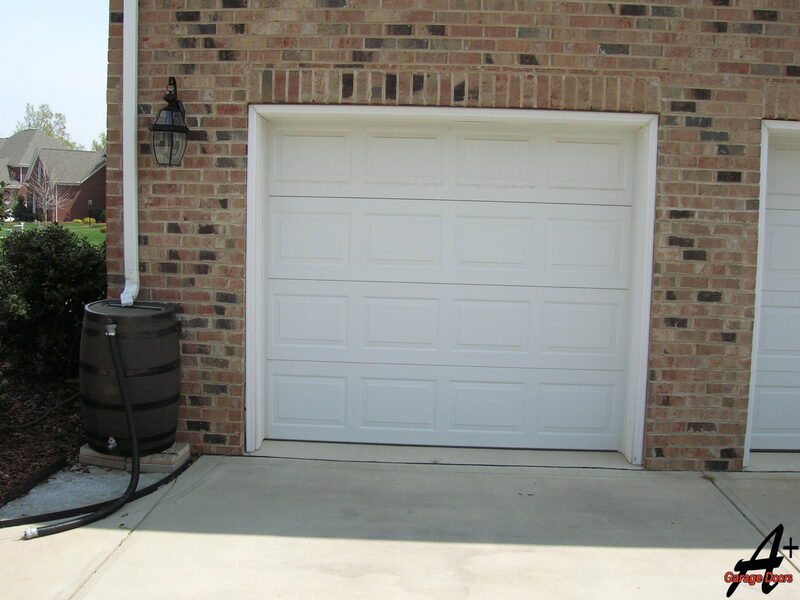 When a garage door breaks, it can pose a serious problem and trap vehicles in or out of the garage. We are dedicated to helping fix the problem right away so that you can get back to your life. If you need an installation, A Plus Garage Doors will be there to guide you through the selection and installation process, to make sure that you get exactly the right door for your building’s situation. Every situation is different, and finding the correct door can make a world of difference. One of the many benefits that a reliable Garage Door Company can provide is installing some countermeasures with your garage door to deter burglars. Although there’s no way to make a building 100% burglar-proof, effective defenses will make you a much less desirable target and can literally save lives. Leaving your garage door open is a surefire way to get burgled, but even if you always close the door, an experienced thief can still break in through the garage door in a little as 6 seconds! There are a few simple ways to counteract this exploit, and working with an expert company can be crucial in getting your home protected against this kind of attacks! Once a burglar has broken into your garage, if you’ve left your interior door unlocked, they’ll have free access to your possessions, your pets – even your family. Keep all doors into your home locked (and keep all garage door remotes somewhere safe) to protect yourself! To learn more about our area, visit the official website of Stallings, NC.